On the 26 October 2017 the High Court approved a settlement which provides for a more secure financial future and home-based care for Anita Rimmer, and comfort and re-assurance for her parents, Paul and Pat. The family, who are from Basildon in Essex, were represented by Julian Picton QC (Hailsham Chambers, Temple) and have worked with specialist Essex Medical Negligence solicitors, Thompson Smith and Puxon (TSP) in their litigation against Barking Havering and Redbridge University Hospitals NHS Trust. In September 2006 Anita Rimmer, who was 35 years old at the time, collapsed at home and was taken to the Accident and Emergency Department at Basildon Hospital. She had been suffering from headaches and blurred vision for approximately two weeks. A CT (brain) scan showed a cyst which was causing obstructive hydrocephalus – a build-up of fluid on the brain, which, if left untreated, causes damage and can be fatal. Anita was transferred to the care of the neurosurgeons at Oldchurch Hospital (the defendant), underwent an operation (5 Oct 2006) to remove the cyst, and was subsequently discharged. She was re-admitted to hospital within a short time with similar symptoms and it was decided to treat the hydrocephalus using a shunt to drain the fluid from the cyst which had re-accumulated since her first surgery, she was then discharged again. Two years later however, in June 2008, she began to experience the same symptoms. The shunt had failed and the cyst again rapidly re-accumulated. An operation to repair the shunt was unsuccessful and unfortunately Anita was left following this operation with no effective drainage for the hydrocephalus and suffered a cardio–respiratory arrest. She sustained catastrophic brain damage as a result and has been left in a minimally conscious state, from which she will never recover, with an extremely abbreviated life expectancy, and entirely dependent on others for all care. Anita’s claim, brought on her behalf by her father and litigation friend, Paul Rimmer, was defended by the Trust. 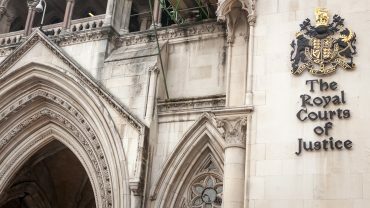 However, at a joint settlement meeting on 6 September 2017, an agreement was reached and the settlement has been approved in the Royal Courts of Justice. She has been awarded a lump sum payment of £1.4million, with annual payments of £270,000, to start in December 2018, to enable Anita to move to and be cared for in a suitably adapted home of her own. Based in Colchester and Clacton, Essex, Thompson Smith and Puxon provide Medical Negligence advice across East Anglia. AvMA and Law Society accredited specialist Julian Wilson and his team have significant experience in handling medical claims from birth injury to misdiagnosis and treatment delay. If you think you may have been the victim of a medical accident or inadequate care, contact one of our Medical Claims Advisors on 01206 574431 to find out more about how we can help you with your potential claim.